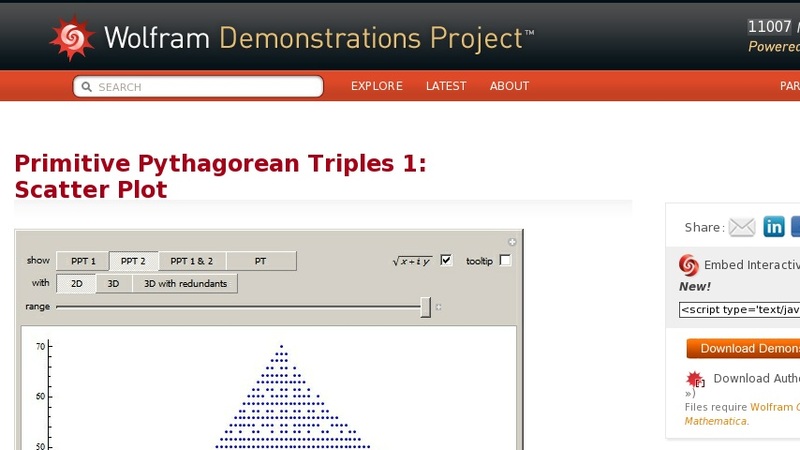 This Demonstration plots primitive Pythagorean triples (PPTs) to make lovely, interesting patterns in the ... - ... plane. The details provide definitions to classify all triples ... that are solutions of the Pythagorean formula ... in integers. The 2D plot shows integer points ... that satisfy this equation for some integer ... .